ST. THOMAS – The results of the Student Government Association elections have been announced. A week after the student body on the St. Thomas campus went to the polls to vote for the candidates of their choice, the SGA Elections Committee published the results in a general campus email on Wednesday morning. In an interview with the UVI Voice, Rogers thanked those who supported her and said she is honored to serve in her new capacity for the seniors’ benefit. “It’s an opportunity that I won’t take lightly,” Rogers said. Greene said it is a wonderful feeling that the students entrusted their confidence in her to have her work on their behalves. “I want to thank the students for giving me an opportunity to serve on the SGA,” she said. The other elected members could not be reached for comment. Students also voted on the referendum question: Do you think the Student Government Association members should receive adequate compensation each semester? A total of 248 students voted “yes,” while 78 indicated that they were not in favor of SGA members getting paid, according to the Elections Committee. Meanwhile, the Student Representative to the Board of Trustees has not yet been named as the elections committee is awaiting the results from the Albert A. Sheen Campus on St. Croix. The swearing-in ceremony for the SGA is scheduled for the fall semester. No date has yet to be set. ST. THOMAS – Family and friends gathered at the Administration and Conference Center Friday evening for the 2013-2014 installation of the newly-elected members of the Student Government Association. After gaining the vote of a vast majority of the student body, UVI senior Kimberlee Smith is back for her second year as SGA president. Smith and other members of the cabinet remained attentive throughout the ceremony, taking notes as various members of the administration expressed their expectations and offered words of advice. “You have been identified as young professionals and young leaders of the student body and this institution,” said Leon Lafond, Student Activities supervisor, as he congratulated the students on their accomplishments. Before instructing the students to raise their right hand and repeat the oath of office, UVI President Dr. David Hall reminded the students of the sacrifices that they should be prepared to make. “Leadership is a sacrifice and this sacrifice will create a legacy for other students to come,” President Hall said. While offering a few words of encouragement and guidance, keynote speaker Senate President Shawn-Michael Malone highlighted some of his accomplishments. He noted that he was involved in student government and other leadership positions from the young age of 14, and continued on to being a leader in college and the Virgin Islands government. **Caption: Senate President Shawn Michael Malone addresses students at the UVI 2013 Student Government Association installation ceremony. After the SGA elections took place in April, some students complained that Smith had not been as active as she promised during her campaign. “Each candidate has a right to file for greviency. Though all the guidelines were followed, however, one student did file and that created a delay in the official results,” SGA Elections Chair Natasha Harrigan said. Nevertheless, the members were eager and ready to begin the school year ahead. 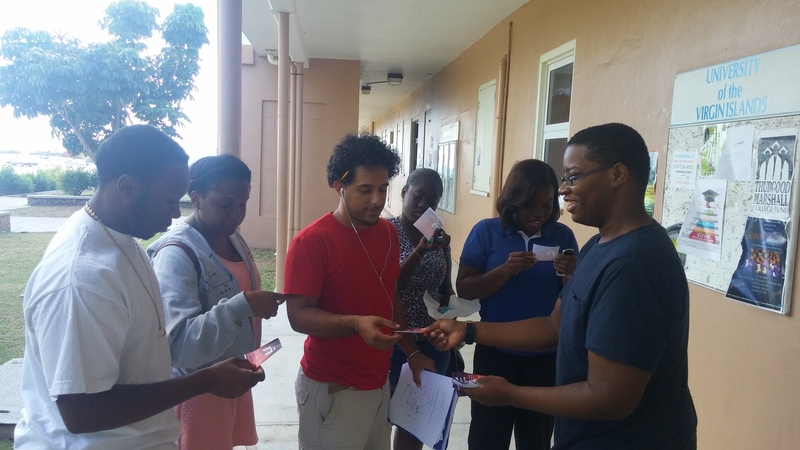 All students wishing to find out more or become an active member of the SGA should visit the Student Activities Office located on the upper campus adjacent to the North Dormitory or contact Leon Lafond at 340-693-1111. There are leaders of large nations and small organizations, but great leaders strive to help and inspire others; they “have a heart for outreach.” Student Government Association (SGA) President Kevin Dixon has been described as one such leader. A senior majoring in business administration with a concentration in marketing, Kevin Dixon is a very busy person. On his second year at UVI, he decided to “get involved” on campus and that has been one of his goals ever since. In addition to being second-term SGA president, Kevin Dixon is also a member of several other clubs, organizations and committees on campus. These include the UVI Senate, the Honorary Degree Committee, the Voices of Inspiration Choir and the St. Croix Presidential Advisory Committee. With so much on his plate, Dixon still manages to excel in his classes and is even the student ambassador for the Thurgood Marshal College Fund. Even at sixteen he had taken on leadership positions in an effort “to help change lives.” He led walks in the American Cancer Society Relay for Life in which his group raised the most money. 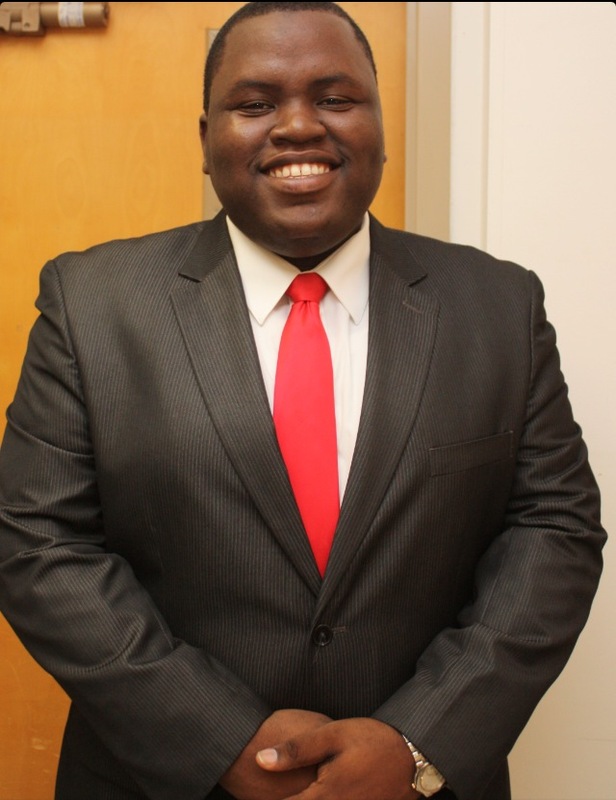 During his second year at UVI, Kevin joined SGA and became its public relations officer. He then became treasurer and worked his way “up the scale” to president of the organization. 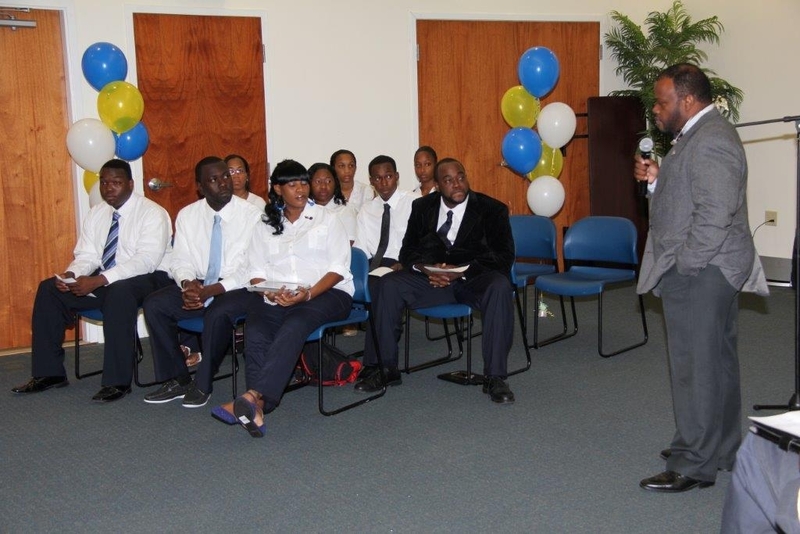 When he moved here from St. Kitts in 2003, Kevin was “shy and quiet” and he “did not like speaking in front of audiences.” Today, he can be seen giving speeches and representing various organizations at events. He credits the change in him, in part, to the “support of his family members,” and Ms. Washington, Ms. Finch and Ms. Elliot. However, the greatest influence in Kevin’s life has been his pastor, who acted as “a mentor and role model” to a young Kevin Dixon. Sophomore Felicia Emmanuel describes Kevin as “not only a strong leader, but also a visionary. Using fresh ideas such as the SWAGG (Students with a Greater Goal) movement, he not only improved the appeal of SGA, but also how SGA stays current with the student body” Emmanuel said.